When Stellah Nantumbwe was crowned Miss Uganda Central in May, I knew there was something special about this her. She was oozing with too much confidence. After being crowned, her eyes were already looking at the Miss World crown. 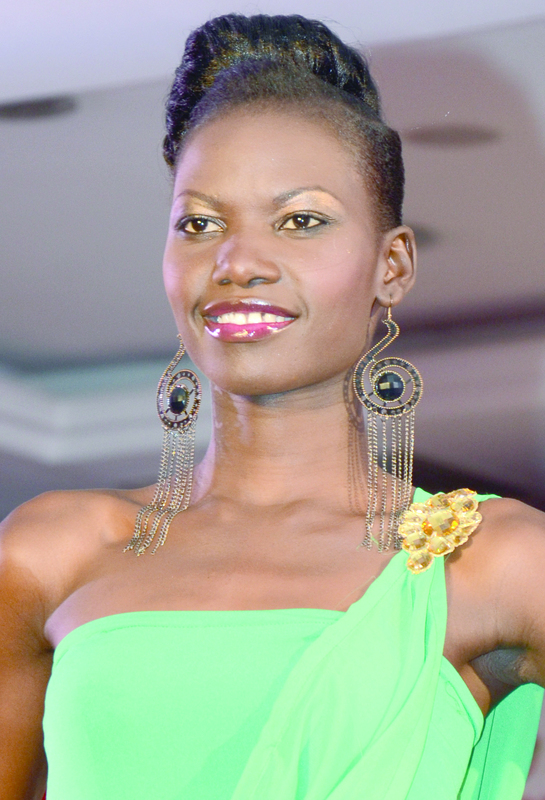 “My eyes are on the Miss World title,” she said, after she was crowned at Masaka’s Maria Flo hotel. 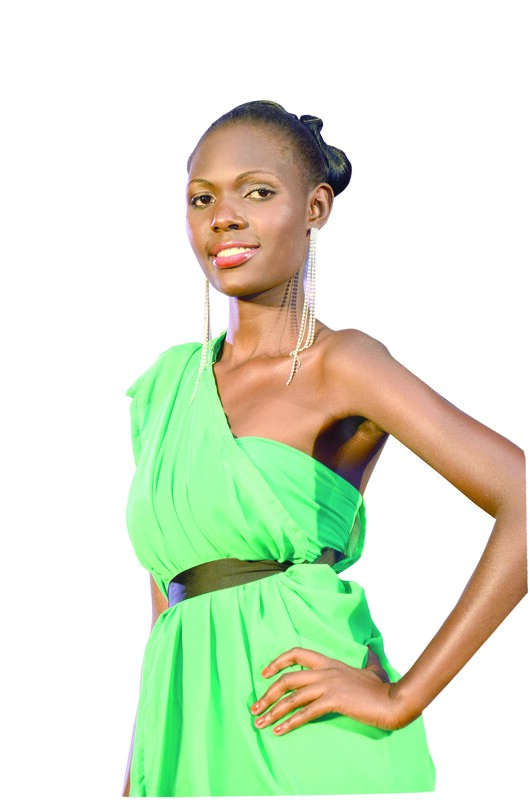 Weeks later, she has been crowned Miss Uganda and her dream of contesting at Miss World is about to come true. Read Story here. Nantumbwe, loves photography, singing, volunteering and hiking. She is inspired by Tereza Mbire because of her efforts to empower women and encourage them to create their own businesses. She is a business computing graduate from Greenwich University in the UK. 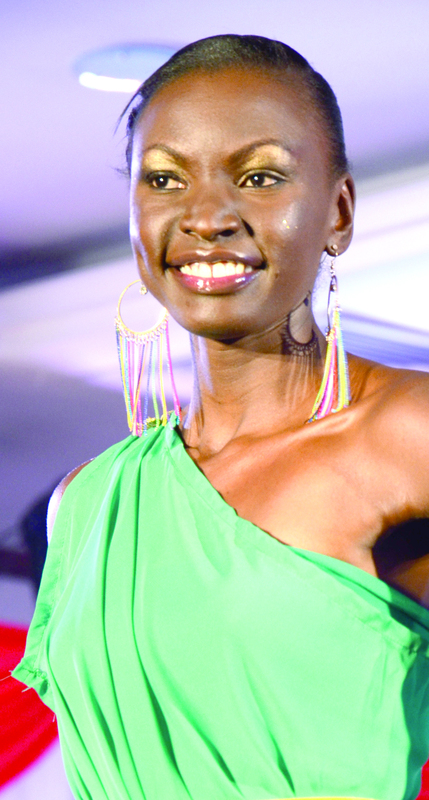 Miss Uganda West Anita Kyarimpa was the 1st runner-up and Sandra Amongin the 2nd runner-up. On Saturday evening at Serena Hotel in Kampala, Uganda will receive another beauty queen who will be taking over from Phiona Bizzu. I am proud to have followed the region pageants that started three months ago. The judges will make the final decision on who will be crowned Miss Uganda 2013/14. The winner will drive away in a Brand new Mercedes Benz A-class and an allowance of UGX 1.5M every month until the end of her reign. The runner up will receive 1.M UGX every month while 500,000 UGX for the second runner –up every month. 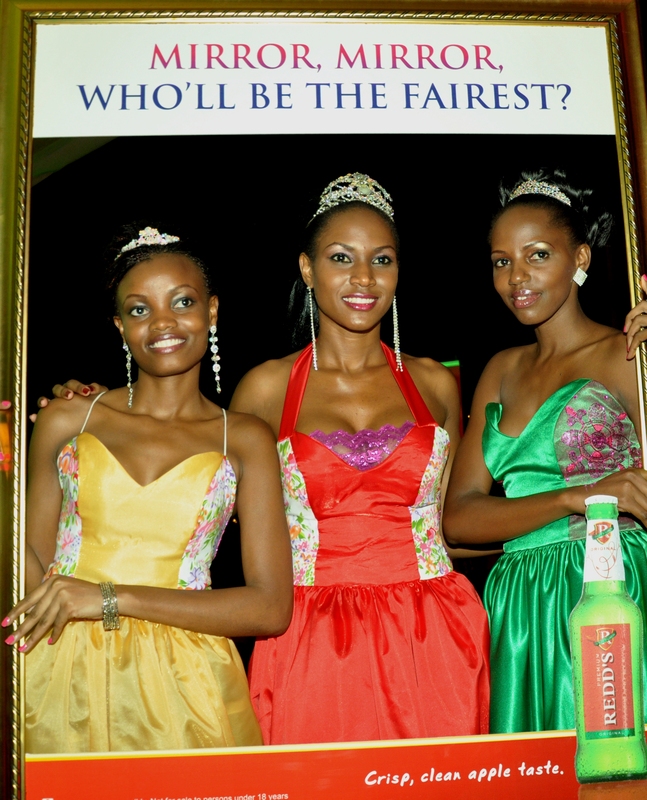 Redd’s are the official sponsors of Miss Uganda and are working hand in Kezzi Entertainment. Ladies and Gentlemen, in no particular order, I present to you the 22 girls vying for the Miss Uganda 2013/14 crown. Joram Muzira (2nd right) the chief scout for Miss Uganda 2013 poses with some of the finalists at the presentation night. The search for Miss Uganda 2012-2013 is on. 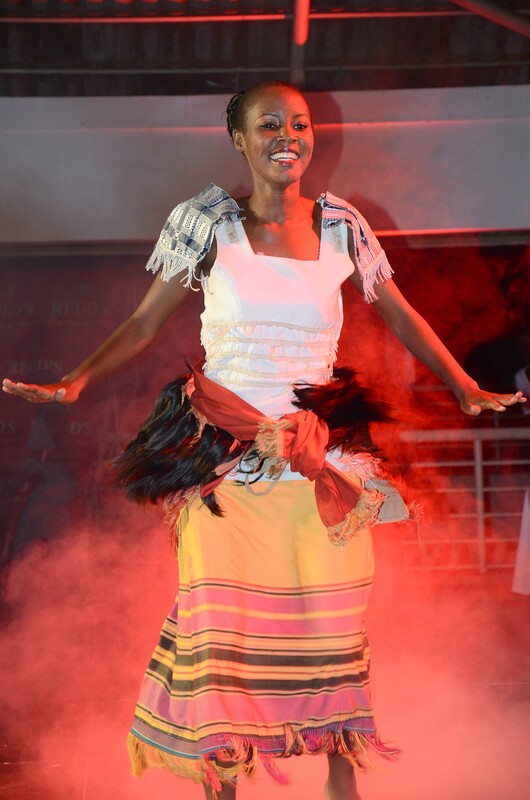 This was revealed by Miss Uganda organisers Kezzi Entertainment at a function held at Kampala Serena Hotel last week. The battle for the crown will kick off with regional tours starting with Mbarara for the Western region. The Mbarara auditions will take place on 14th April at Big Fun Gardens. This will be followed by auditions in Gulu (Diana Gardens) and Jinja (Crested Crane Hotel) on 21st April and 28th April respectively. The contestants from the central region will be auditioned on 2nd May at Guvnor. The top 20 finalists be chosen from all the regional contestants on 11th May and will enter camp at Ndere Centre for preparations and training. According to Brenda Nanyonjo, the training includes personal grooming and etiquette; business and entrepreneurship; skills; public speaking and talent development among others. The finalists will come out on 25th May for what has been dubbed the ‘Talent Nite’ before the grand finale on June 1st at Kampala Serena Hotel. Potential contestants can pick registration forms from the leading radio stations in the major towns of Uganda as well as Miss Uganda offices on plot 4, 2nd Street Industrial Area. They should be Ugandans between 18-24 years, not married, with no visible tattoos and no criminal record.